Mom life these first 4+ has been exciting, fulfilling, and stressful, and I can’t even tell you how many times I’ve said or thought, “When he’s in school all day…” As a stay-at-home with a son who has food allergies, tummy problems and who benefits from various therapies, I have been operating on DEFCON 2 for many years just looking forward to some rest. Tomorrow is pseudo-finish line that I’ve been aiming for as Gage starts full day Pre-K and I find myself surprisingly tearful and sad. The summer is over and I’m sending my guy to school for 6 1/2 hours a day. That’s six+ hours that I am not cooking, chauffeuring, obsessing, getting frustrated…and I thought I’d be celebrating I in the streets. Instead, I am feeling resistant to be handing off these duties to someone else for the day. 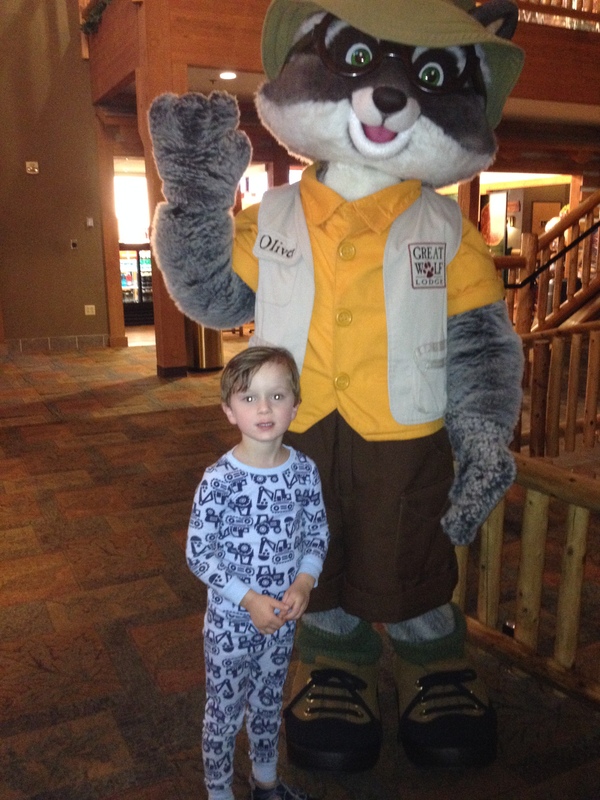 This is him last weekend at bedtime storytime at Great Wolf Lodge. 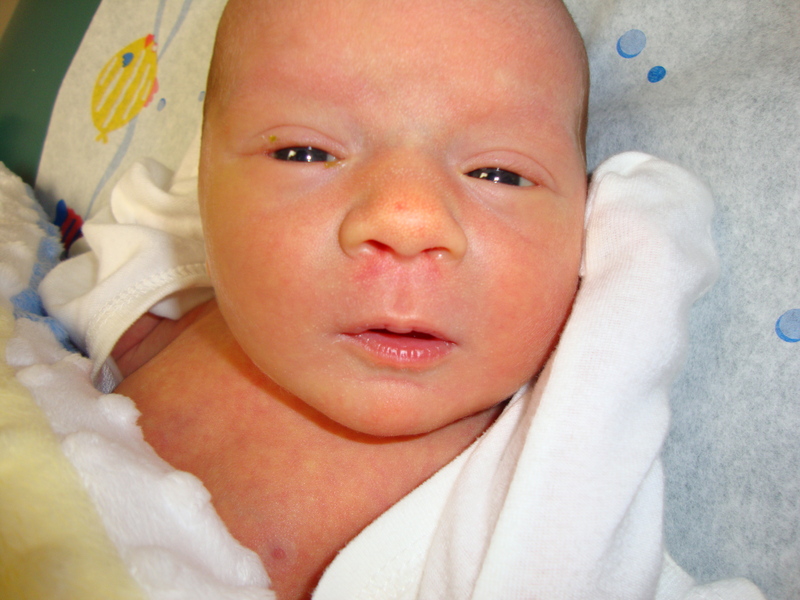 So, today I am sad, but tomorrow when I come home after dropping him off at school I may feel differently. I have a feeling that I will start decluttering the house at a feverish pace or I’ll take a nap. I’ll keep you posted. 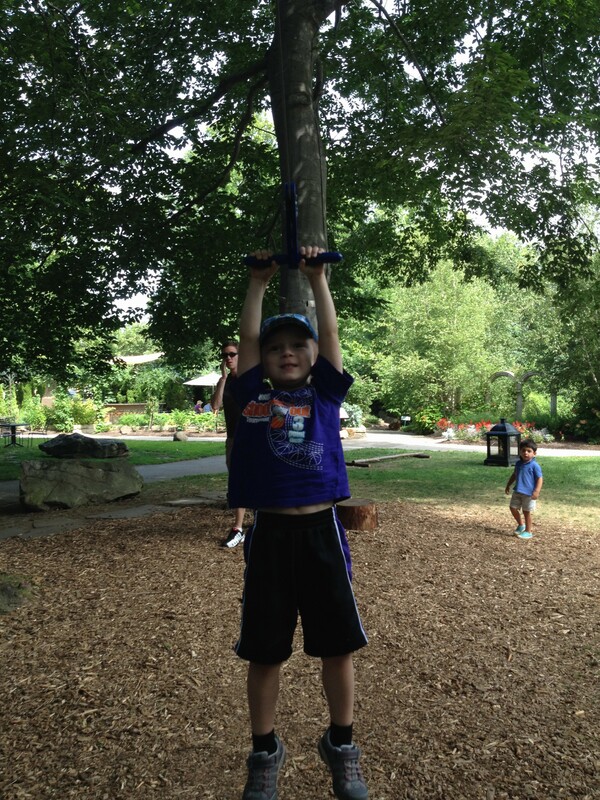 This was taken at the botanical garden last week on their “zip line”. He looks ready to conquer the world right? The letting go as a parent is always the hardest – whether they’re starting pre-K or going off to college. This sounds like a great next step. My grandson starts kindergarten tomorrow and my daughter is really emotional. He was in ICU when he was born and for the past 5 years they’ve been together most of the time. I hope he transitions well, he’s never been with strangers before, and never away from his mommy for long unless he’s with his daddy or grandparents. I hope you do well tomorrow. It will take some getting used to for sure. Those pics of Gage are adorable! Good luck to your grandson. I think it’s a little harder for parents who have had to micromanage their kids health, so I feel for your daughter. It’s hard for me to trust that the teachers will understand his needs. But that may be because I’ve been in control for so long, lol. I will be a morning of conflicting emotions! Gage will have a great time I’m sure! 2 1/2 hours in and I’m starting to get nervous. This was the time I was picking him up from preschool last year! Your emotions are understandable. My experience with having 6+ hours to myself (after years of not having an hour) was how fast they went!! The first 2 1/2 hours have flown by and my kitchen is cleaner for it! I can’t believe that Gage is going to Pre-K! Wow. Stacy, I can totally understand your emotions. This is another stage of life. And there will be more and more of them. Here’s hoping that Gage will love his school and his time there. And you don’t have to decide immediately what to do with your ‘extra’ time. Hugs to you!! Thanks, Kay! I’m starting to get a little antsy and I don’t pick him up for 4 more hours, haha! Take the nap. Decluttering can wait. I’m cleaning and blogging. I think I’m too nervous for him today to be able to take a nap. Watch, I’ll pick him up at 2:30 and be ready to drop! I can’t believe it’s already that time. I have been thinking a lot of Mouse starting kindergarten next year. So much will change for her–for all of us. I can only imagine how much more of a challenge it must be for you, given his health concerns. I wish you both luck. I’m sending hugs and positive thoughts your way. I know that working parents like you have already gone through this, but us SAHMs are just catching up! Is Mouse in Pre-K this year too? No, her birthday falls too late to qualify for pre-K. Her daycare has a good preschool program and she’s learning what she needs to know there. Yeah, Gage knows everything he needs to for Kindegarten but he needs to work on working independently when he’s supposed to 🙂 For me, starting early only means one more year of adulthood and who wouldn’t love to go back and have one more year of childhood? Watching our kids grow certainly is bittersweet. My oldest granddaughter is starting preschool in a few weeks and it makes me happy yet sad.